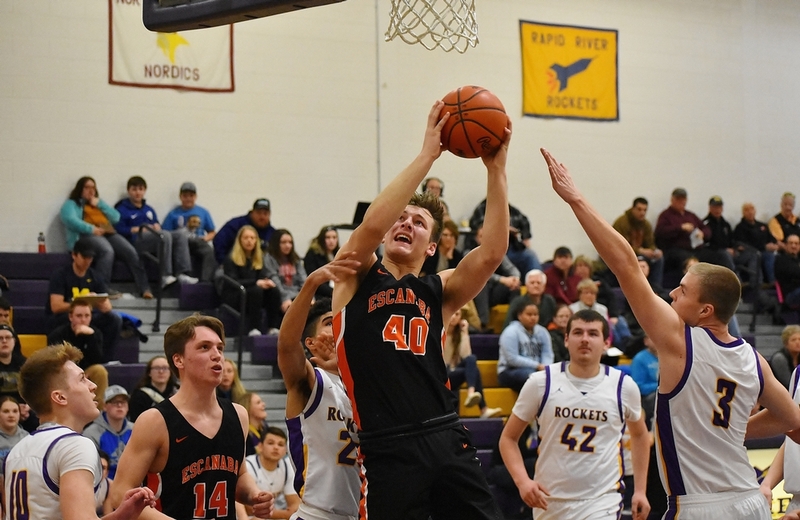 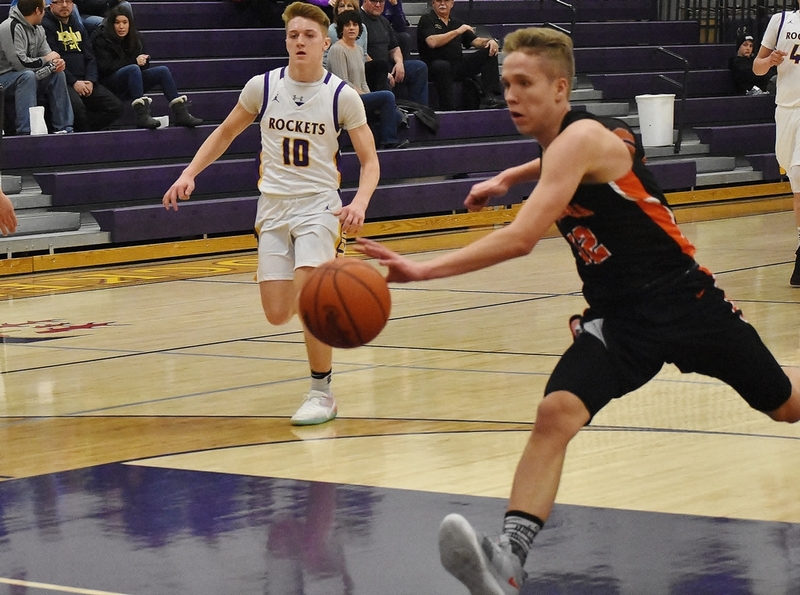 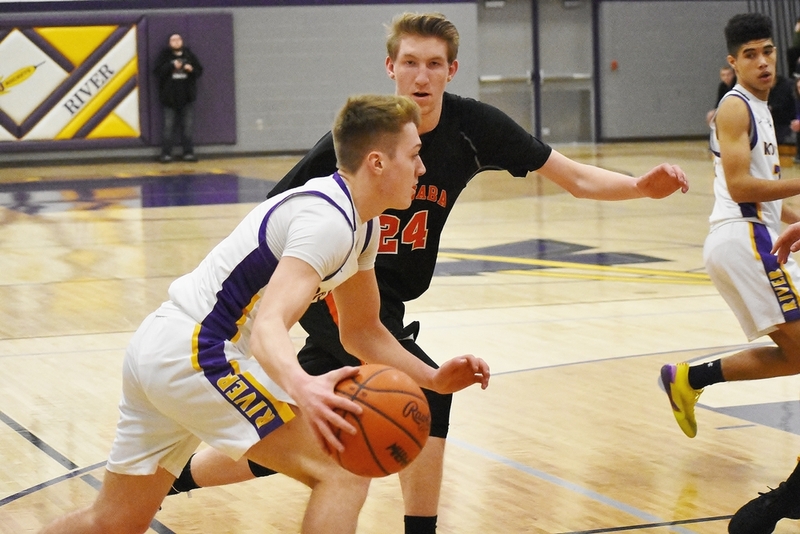 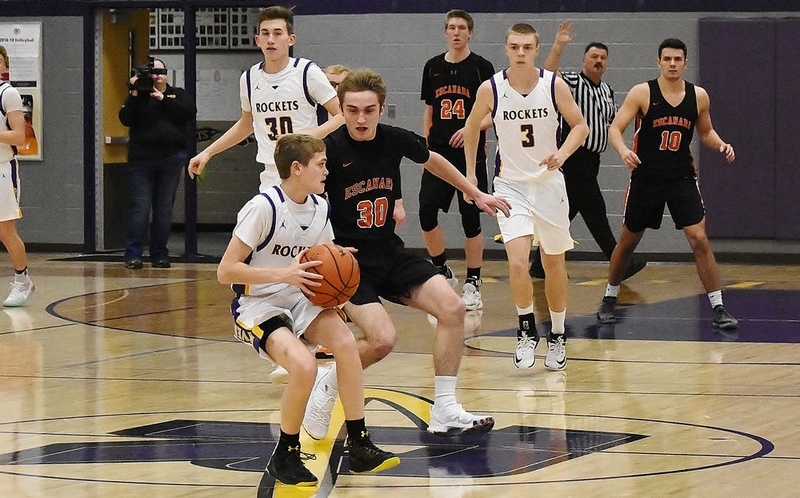 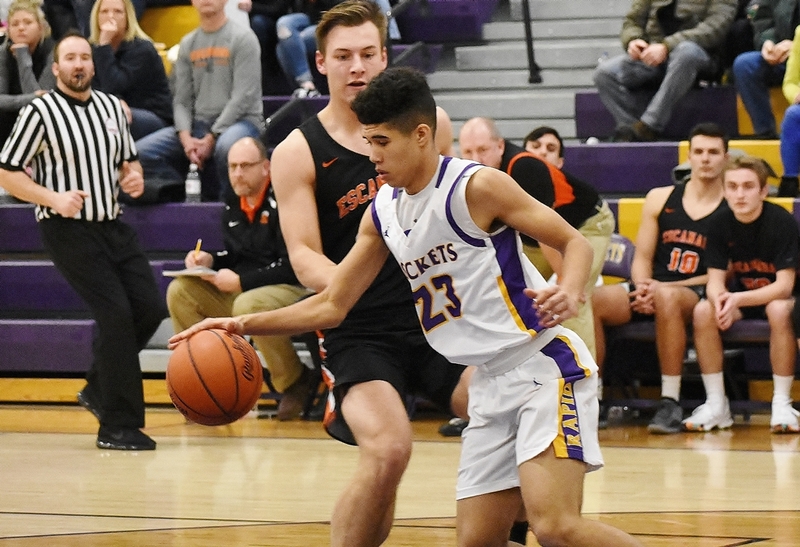 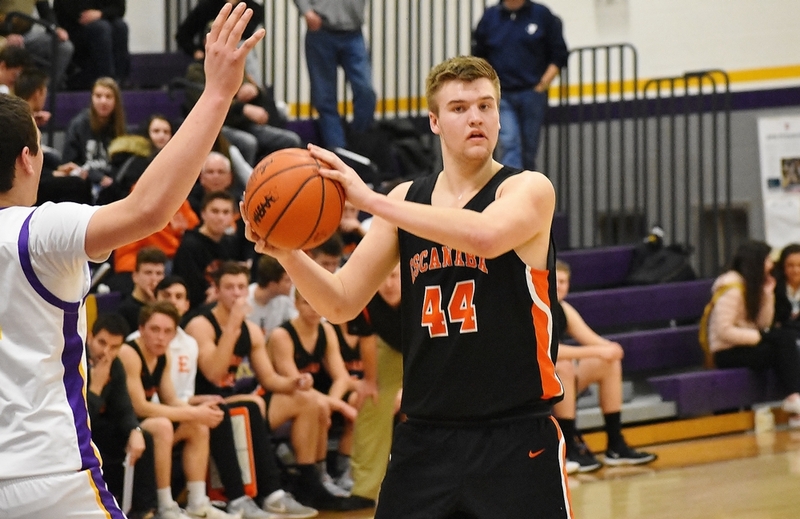 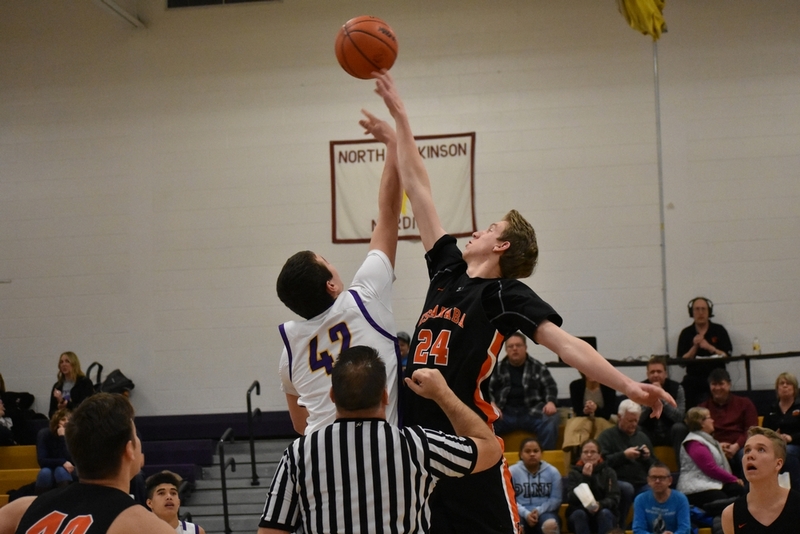 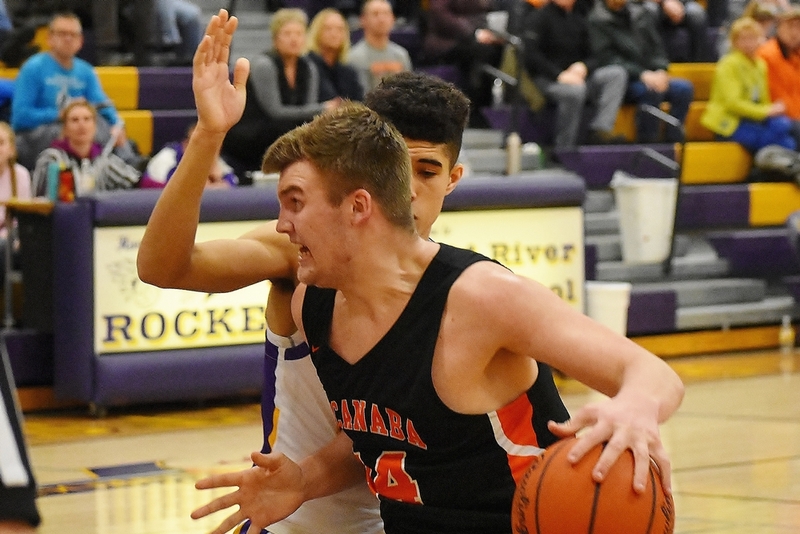 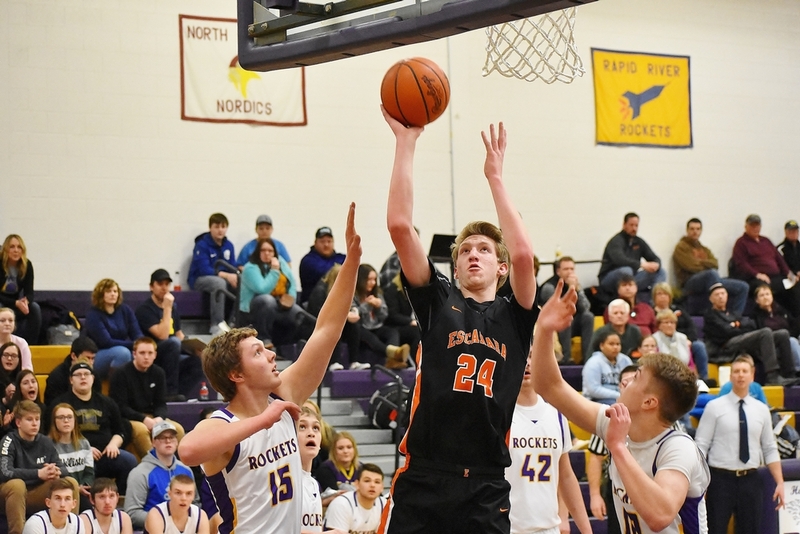 RAPID RIVER---The Escanaba High School boys basketball team pounded the ball inside and had four players score in double figures to beat the Rapid River Rockets, 72-53, Friday night in Rapid River. 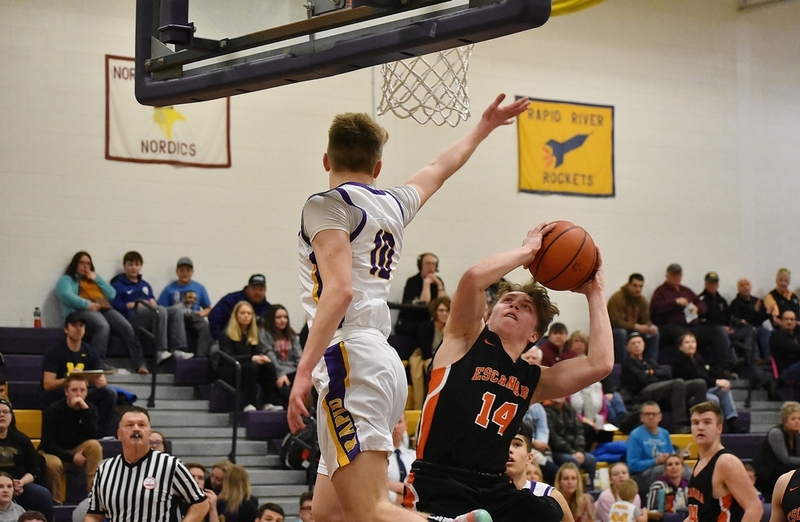 The Eskymos took command by going on a 15-0 run in the second quarter, with three "and-one" baskets during that spurt. 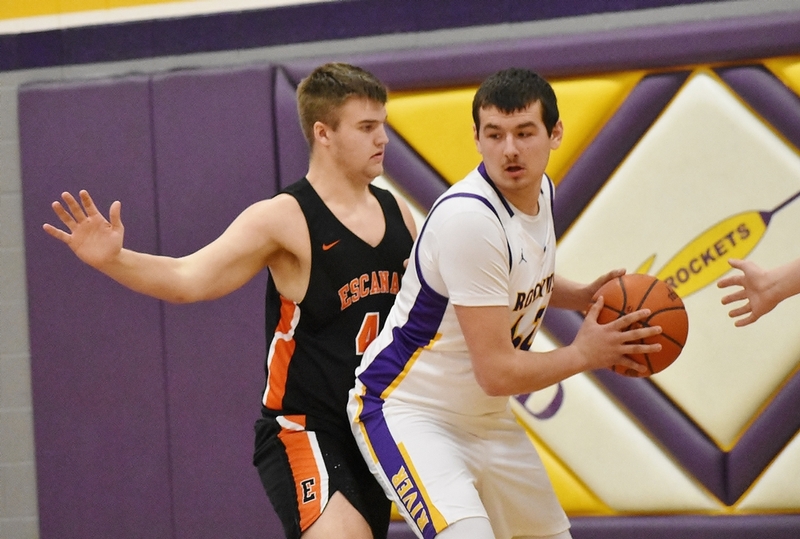 Jared Nash scored 15 points during the first half as the Eskymos built a 37-25 lead. 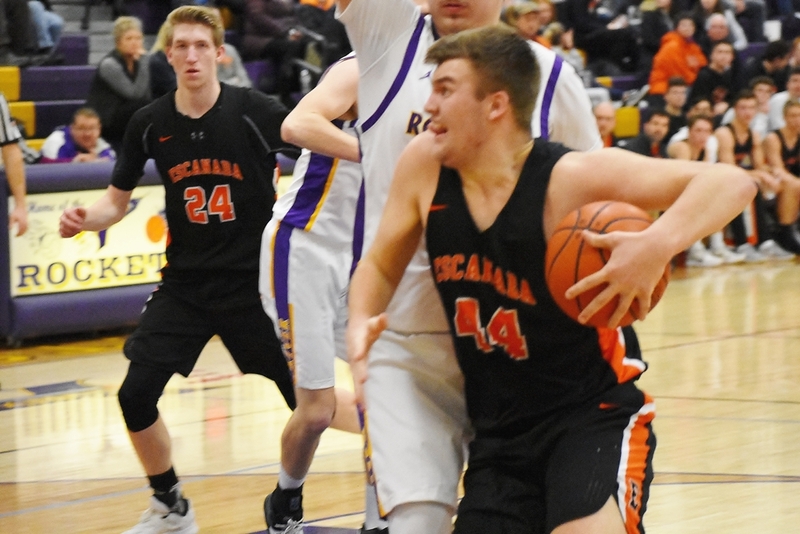 He finished with 21 points. 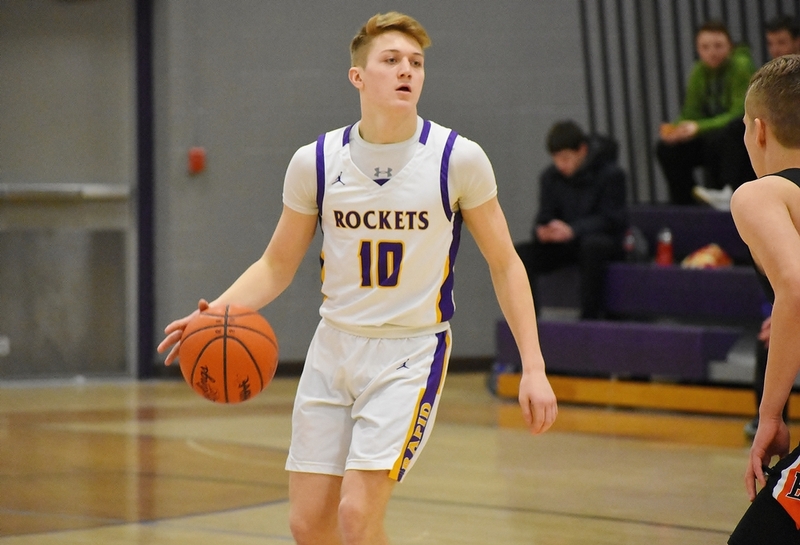 Then in the second half, Austin Willette was tough for the Rockets to handle as he scored 15 points. 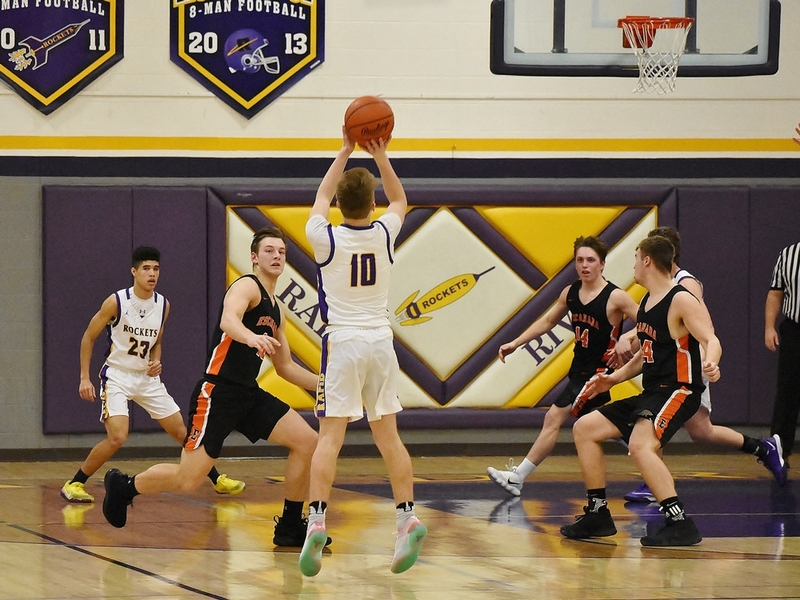 Willette finished with 18 points. 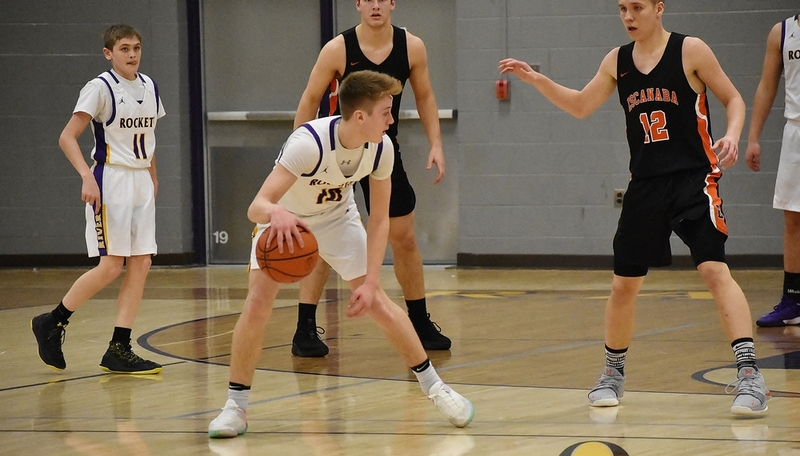 Carter Hudson contributed 15 points, mostly from inside, but he also nailed a three-pointer in the second quarter. 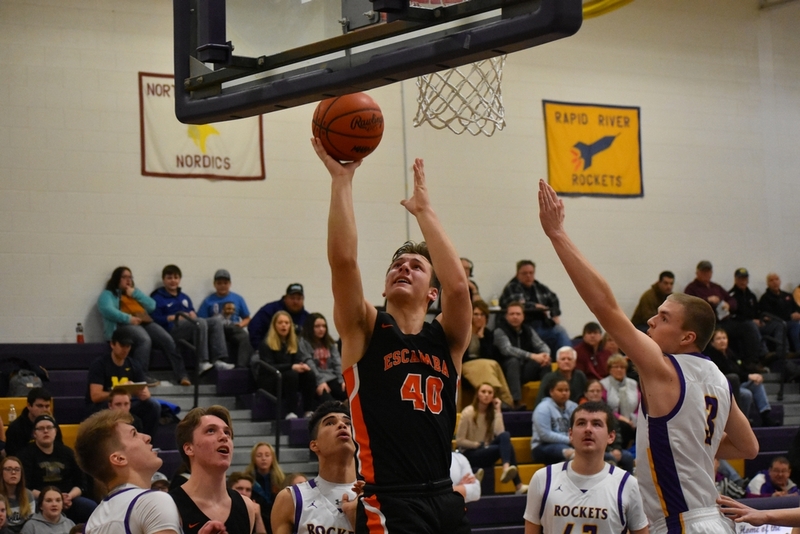 Craig Kamin ran the Esky offense and scored ten points. 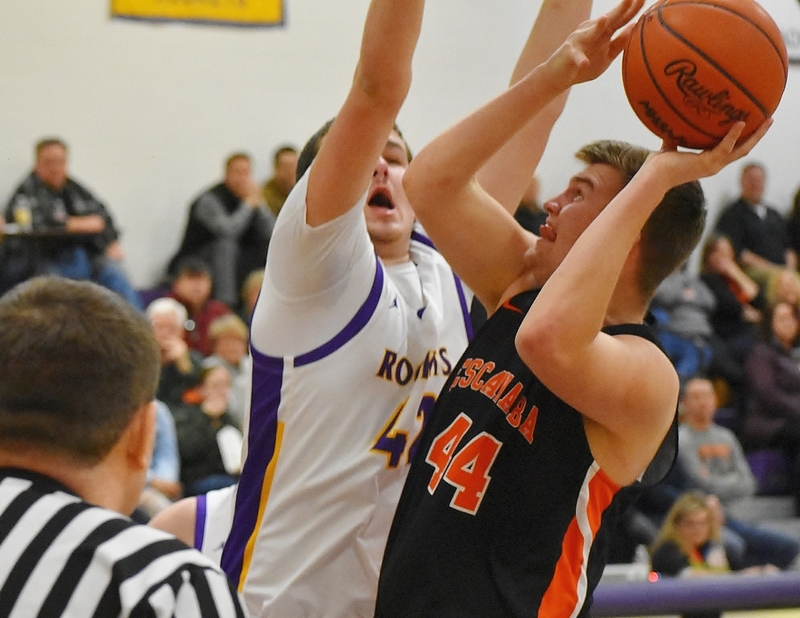 Rapid River tried to hang in there by shooting from the perimeter. 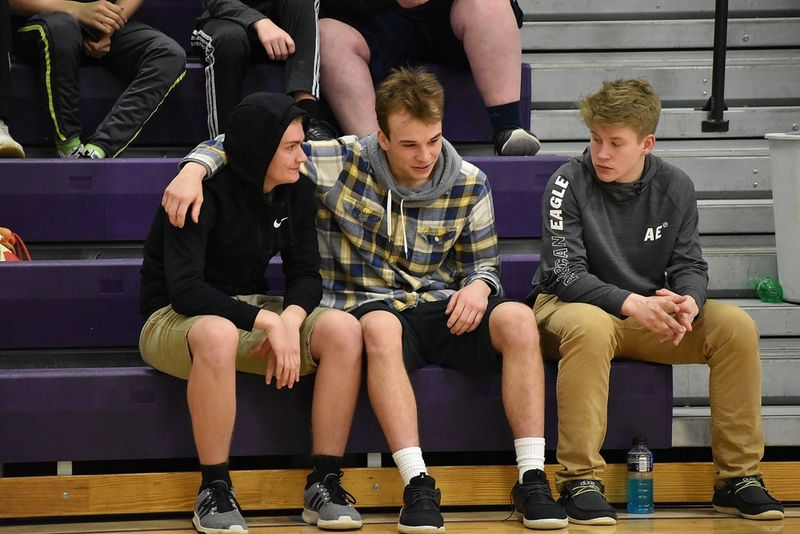 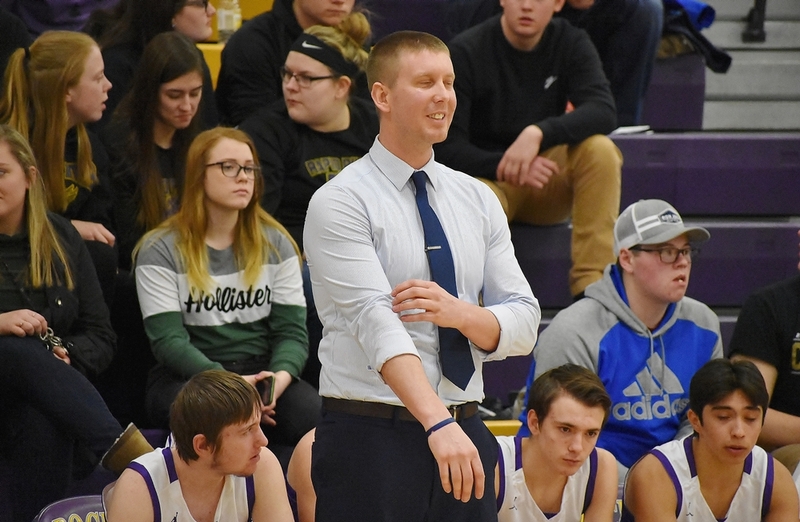 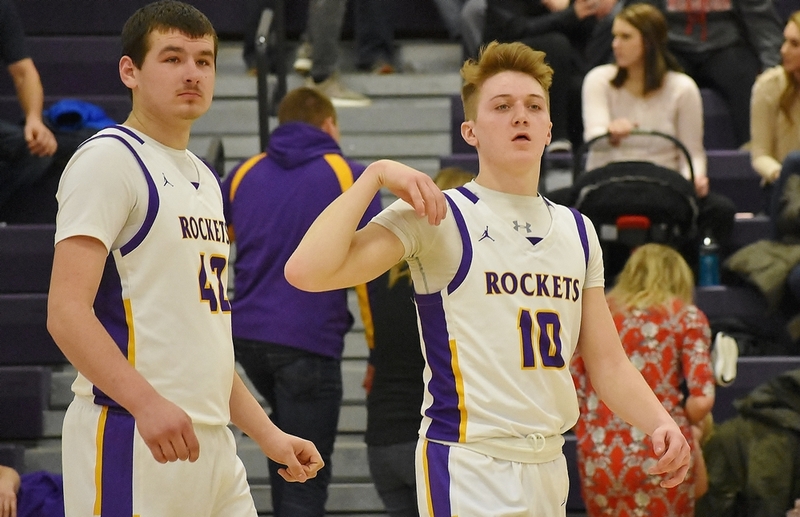 Nathan Olson, and Tyler Sundling both knocked down triples in the first quarter, and the Rockets had a 17-16 lead after the first quarter. 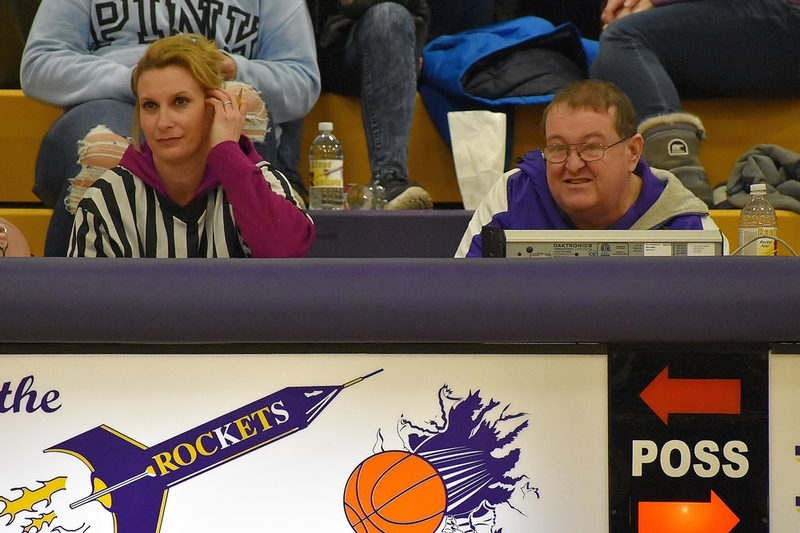 Sundling led the Rockets with 18 points. 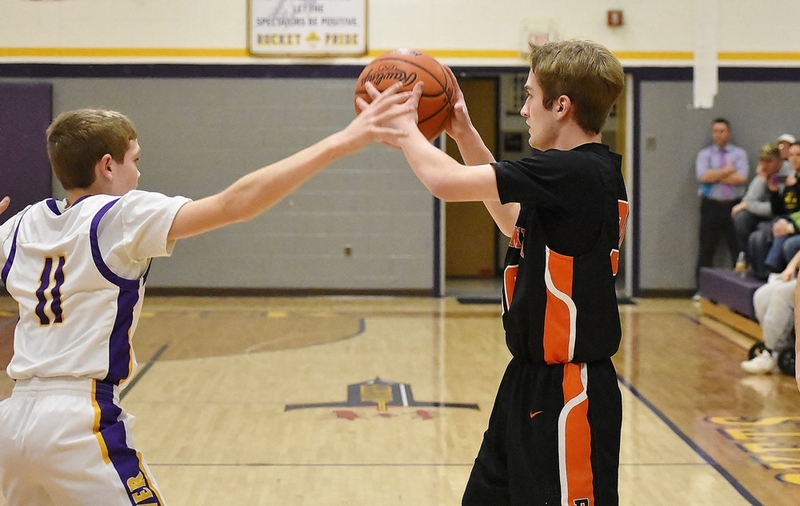 Rapid River made nine three-point baskets in a losing effort. 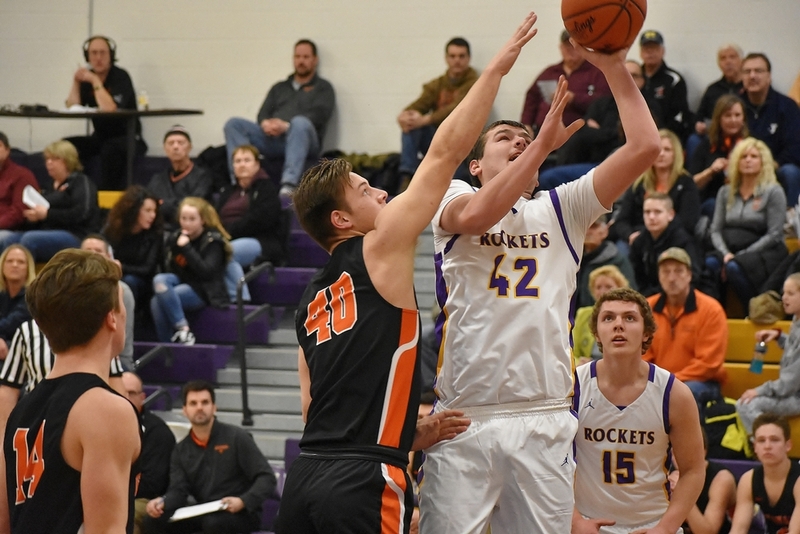 The Rockets had their five-game winning streak snapped, falling to 9-5 on the season. 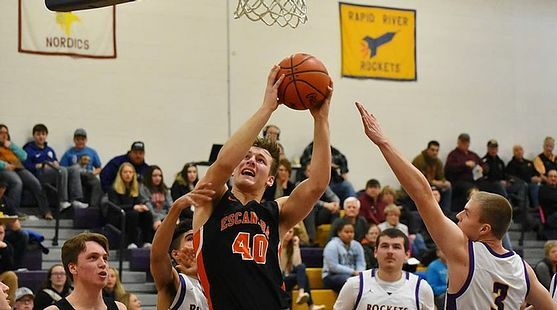 Escanaba is now 8-6. 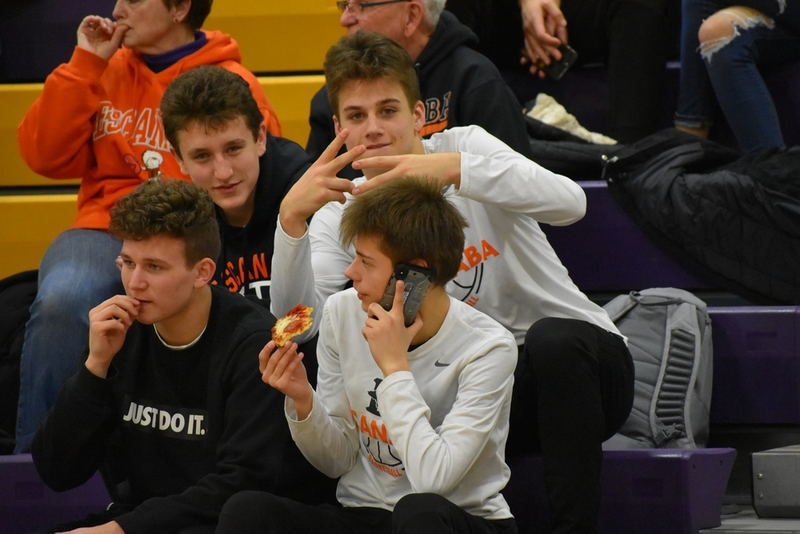 Click the thumbnails in the ARTICLE HIGHLIGHTS box above to see photos and video highlights from the game.